Photo: Clifford R. Hope House, ca. 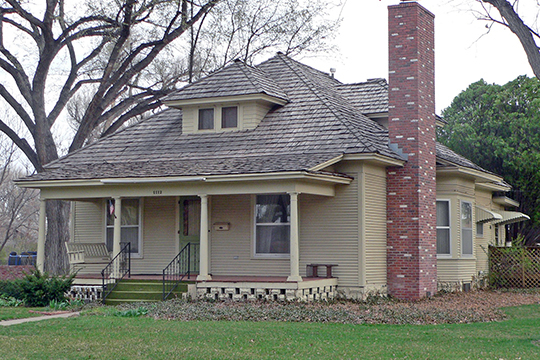 1908, 1112 Gillespie Place, Garden City, KS. Listed on the National Register of Historic Places in 2000. Photographed by User:Ammodramus (own work), 2015, [cc-by-1.0 (creativecommons.org/publicdomain/zero/1.0/deed.en)], via Wikimedia Commons, accessed November, 2016. Finney County administrative offices are located at 311 North 9th Street, Garden City, KS 67846; phone: 620-272-3542. Established in 1884 as Sequoyah County, the name was changed to Finney in honor of Kansas Lieutenant Governor, David Wesley Finney.